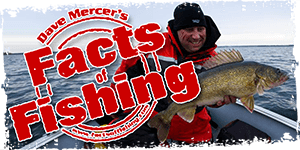 For U.S. anglers, what is required when fishing Canadian waters on Lake Erie remains unclear. On May 30, 22-year-old Roy Andersen of Baldwinsville, N.Y., motored to his favorite fishing spot in the Gananoque Narrows of the Thousand Islands area in the St. Lawrence River — as he had done dozens of times before — and proceeded to fish for pike and perch. But in short order, two officers from the Canadian Border Services Agency boarded his boat and informed him he was in violation of customs procedures. He had failed to report in to Canadian customs when he crossed the international border at midriver. This amazed Andersen, since not only he but hundreds of other U.S. anglers routinely cross the border to fish. The norm has been that so long as no one attempted to anchor or land on Canadian soil, reporting in was de-facto not required. But the CBSA officers understood the rules differently, and they informed Andersen that if he did not pay a $1,000 fine, on the spot, his boat would be confiscated! Andersen managed to pay with a credit card, but the incident, which seemed to mark a dramatic change in Canadian policy on border enforcement for boaters and fishermen, has ruffled feathers all the way to Washington. Andersen is appealing the fine, and U.S. Sen. Charles Schumer and Congressman Bill Owens, both of New York, have sent letters to the head of CBSA requesting an explanation of the change in policy. 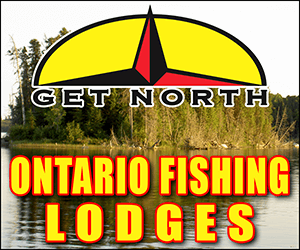 The outcome of the incident could have an impact on tournament anglers as well as casual fishermen throughout the border region, since anglers routinely pass back and forth across the unmarked open-water border during fishing trips throughout the Great Lakes and the connecting rivers. The possibility of fines and confiscation of property threatens anglers competing in the upcoming Bass Pro Shops Northern Open on Lake Erie out of Sandusky, Ohio, as well as B.A.S.S. Federation Nation events on border waters. There’s been a lot of confusion over what’s required, with different offices and officers of the CBSA interpreting the rule differently now that the question has come to a head. “These rules have not changed. If you are entering Canadian waters by boat and you drop anchor or go to shore to refuel, lunch or shop, you must report to Canada border services. It’s the same for Canadians going into U.S. waters. Captain Rick Unger, president of the Lake Erie Charterboat Association, said that he had never had an issue in many decades of taking anglers into Canadian waters to fish for walleyes, nor had he heard of any other skippers who had run afoul of CBSA — until the Andersen case. Chris Kealey of CBSA agrees: “We understand that boaters may not even know when they cross the border at times; in general, our enforcement people are not going to arrest and fine fishermen who do not attempt to anchor or land. However, if you have doubts, you can call 888-226-7277 anywhere along the Canadian/U.S. border to report in,” Kealey told BASS Times.